We are thrilled to announce our collaboration with our friends over at Almondaire. Almondaire is an almond based creme liqueur. Almondaire is dairy-free and gluten-free. 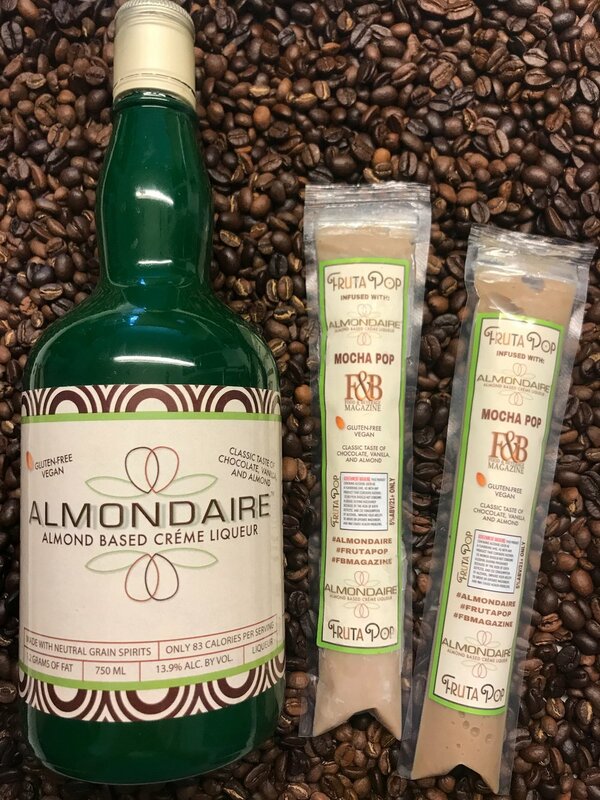 In collaboration with Food & Beverage Magazine, we will debut our FrutaPOP + Almondaire Mocha Coffee POP later this month at the Wine & Spirits Wholesalers of America, April 30 - May 3rd at Caesars Palace Las Vegas.